"Anna Mia creates music which is like a living creature." I started my serious relationship with music when played bass guitar on the Kiev based electronic project. Than a long and incredibly happy time I lived in the mountain, where opened another and best instrument, who always with you, voice. I learned to sing with a nightingales and other birds, copying, not always successfully, their trills in the garden. At the same time I really fall in love with the modern instrumental jazz. I was motivated to move away from of Euclidean geometry in the art to the direction of more completely and beautiful natural forms. 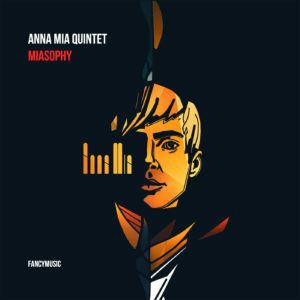 “Anna Mia – the singer, who creating music, like a mirror, in which escape drops of jazz, streamed vague echoes of passionate longing. If look in that mirror, each listener will find themselves in a transformed world. Unusual voice, really difficult to find any comparisons.